home by using, guess what? Paper Clips! 1. 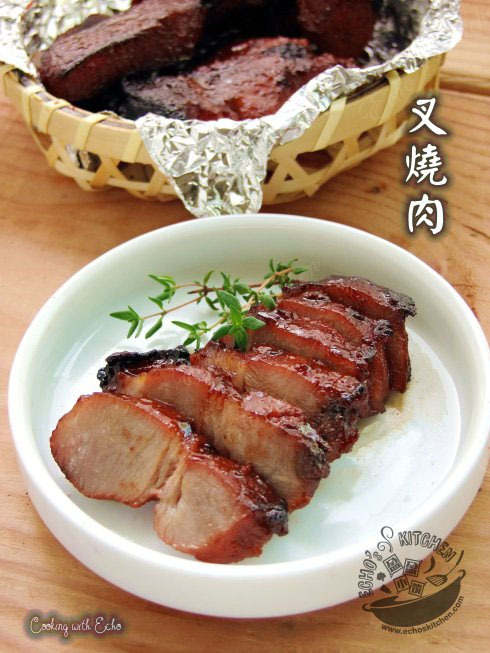 Use a fork to poke all over, marinate the pork with all the ingredients listed above for at least 5-6 hours, I marinated mine overnight, turn the pork once or twice in between. 2. Preheat the oven to 350 F (175 C). Search around the house for the largest paper clips you could find, try twisting the pin to form like a hanger, use it to hang the pork pieces on the oven rack to bake. 3. 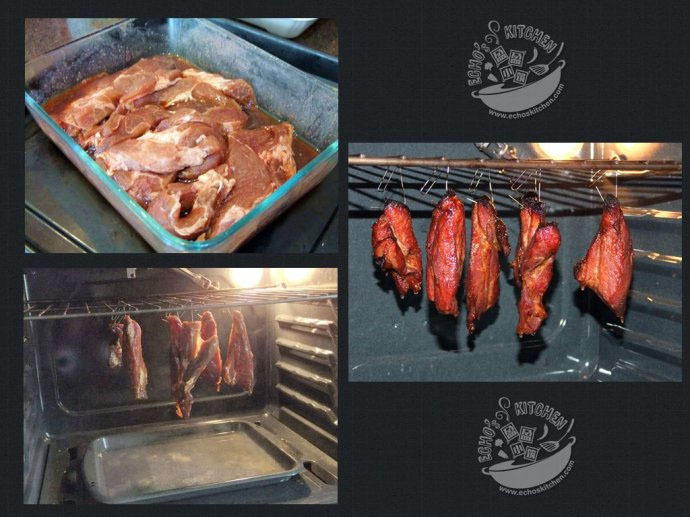 Make sure you have a big pan underneath with some water to hold drips/grease from the pork while baking to prevent smoking/burning. 4. Bake the pork at 350F(175C) for 20 minutes，take it out and brush a layer or two of the marinade sauce. Turn the oven to Broil (Hi）and broil for another 8-10 minutes. 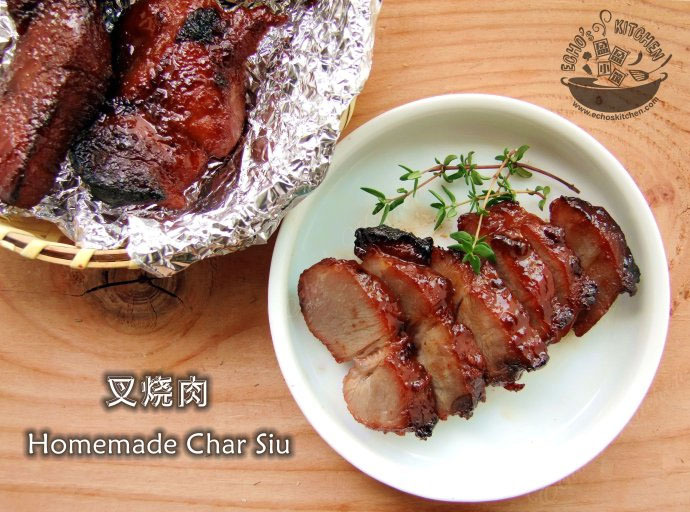 Take the pork out and brush the sauce once more in between if you like, it will result in a juicierChar Siu.